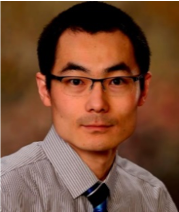 Yi Wang earned a Ph.D. in Agricultural and Biological Engineering from the University of Illinois at Urbana-Champaign after attending the University of Science and Technology of China where he earned a M.S. in Environmental Engineering, and a B.S. in Environmental Engineering from the University of Science and Technology Beijing. 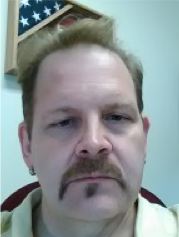 He is currently Assistant Professor in the Biosystems Engineering Department at Auburn University. His research interests include: Value-added biochemical and bioenergy production: Metabolic Engineering/synthetic biology/biotechnology; Animal health and disease, pathogen control and treatment with metabolic engineering/synthetic biology strategies; Environmental molecular biology: Microbial genomics, genetics and transcriptomics; Bioremediation: biodegradation and biotransformation of emerging environmental contaminants; Waste Management and water pollution control: wastewater treatment, reclamation and reuse using both biological and physicochemical approaches; and Environmentally-friendly materials development for environment and bioenergy applications. Anthony Arment is a Professor of Biology at Central State University (CSU), having joined the faculty at CSU in 2003. He received his undergraduate degrees from Urbana University in 1988 and his Ph.D. from Wright State University in 1995. At CSU, he teaches coursework in biochemistry, bioethics, genetics, microbiology, and molecular cell biology. Beginning fall 2017, he has assumed the role of Assistant Director for Academic Planning & Student Success for the College of Science and Engineering. Dr. Arment’s research areas include the bioremediation of xenobiotics, improving the quality of undergraduate STEM teaching, and food microbiology. 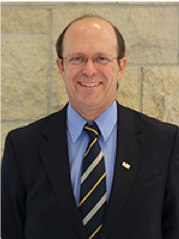 William Wright began his career with Black & Veatch consulting engineers in 1986 after earning a B.S. degree in Civil Engineering from U.C. Berkeley. As a staff Civil Engineer, he developed plans and specifications for the modernization and expansion of the 450-mgd Hyperion Wastewater Treatment Plant in Los Angeles, California. After obtaining his Civil Engineering License, and with a desire to learn more about water and wastewater treatment processes, he left Black & Veatch in 1991 to pursue graduate studies in Civil and Environmental Engineering at U.C. Davis, and earned M.S. and Ph.D. degrees. He became interested in teaching and research while working under the supervision of Dr. Edward Schroeder on a program of study that emphasized biological treatment. 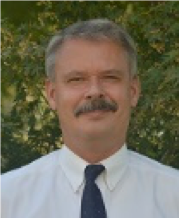 In 1999 Dr. Wright accepted a position with California State University Fresno in the Civil Engineering Program. Currently he is at the rank of Professor and is responsible for undergraduate and graduate instruction in environmental and water resources engineering, and he is the Coordinator of the Civil Engineering Graduate Program. Dr. Wright’s research interests include water and wastewater treatment with an emphasis on removal of taste and odor compounds and nitrate; conversion of food wastes to marketable products; and vapor-phase biofiltration, an air pollution control technology that utilizes microorganisms to degrade volatile contaminants. Leon Schumacher, professor and Chair of Agricultural Systems Management Program, College of Food and Natural Resources, University of Missouri, was honored for pioneering biodiesel as a biorenewable transportation fuel, and development of new curricula in applied engineering of the profession. 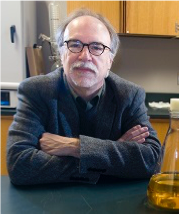 Throughout his career, Schumacher has focused on biodiesel research and was one of the first researchers to explore its use as a transportation fuel. This research has culminated in the nation-wide incorporation of biodiesel available as an alternative fuel source. Schumacher has also researched extensive techniques for energy saving practices in the agricultural community. This work attracted attention of the Environmental Protection Agency who recruited Schumacher to develop a program designed to help farmers understand the benefits of adopting energy saving practices. As a result, he developed the Missouri Agricultural Energy Savings Team – A Revolutionary Opportunity (MAESTRO). This program has attracted the attention of many in Missouri, resulting in agricultural producers conducting energy audits. Schumacher championed the development of and chairs the AG*IDEA course sharing program for agricultural systems management. This program increases availability of agricultural systems management courses to students at Iowa State University, University of Nebraska, Kansas State University and the University of Missouri. Schumacher was responsible for relaunching the graduate program in agricultural systems management at the University of Missouri. A 30-year member of ASABE, Schumacher received the Biodiesel Innovation Award from the National Biodiesel Board. The College of Agriculture and Food Resources at the University of Missouri presented Schumacher with the Alan W. Purdy award in 2013. 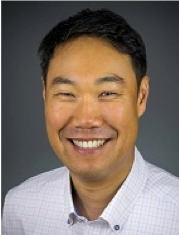 Sunkyu Park is the EJ Woody Rice Associate Professor & University Faculty Scholar in the NCSU Department of Forest Biomaterials. His research is focused on the fundamental understanding of lignocellulosic biomass reactivity (changes in biomass chemistry/structure and their effects on conversion process) for both biochemical and thermochemical conversion processes into biofuels. Other research interests include: Thermal pretreatment and its effect on fast pyrolysis. Thermal pretreatment of biomass such as torrefaction has a potential to be integrated with fast pyrolysis and gasification operation. 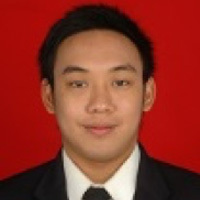 His research is focused on the characterization of biomass chemistry/structure changes during thermal pretreatment and the evaluation of bio-oil quality when torrefied biomass is used. Cellulose crystalline structure and its allomorphs. Fundamental understanding of cellulose crystalline structure is critical for many applications such as paper, textiles, chemicals, and bioenergy. Recently new technology has been applied (sum-frequency-generation vibration spectroscopy) together with x-ray diffraction and solid-state NMR to elucidate its structure. SFG spectroscopy can selectively detect cellulose crystalline structure without interference from hemicellulose and lignin. Biomass post-treatment and enzymatic hydrolysis. Inefficient enzymatic hydrolysis of biomass is largely due to the recalcitrant nature of lignocellulosic biomass. This study focuses on identifying the physico-chemical properties of biomass responsible for low conversion efficiency and developing post-treatment operations to overcome recalcitrant issues. 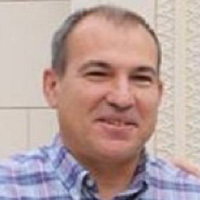 Rich Pratt is a professor of plant breeding, director of the Cropping Systems Research Innovation Program and member of the William Conroy Honors College faculty at New Mexico State University. He is also an Emeritus Professor at Ohio State University. Pratt received B.S. and M.S. degrees from the University of Arizona and a Ph.D. from Purdue University. He is internationally recognized for his work with host-resistance to foliar pathogens of maize and introgression of traits from exotic germplasm into U.S. adapted germplasm. He now works with native crops and plant genetic resources from the Southwest to preserve and expand their role in future desert cropping systems. He provides leadership and advocacy at the international, national, state, and local levels. He is a Crop Science Society of America Fellow and is active in the National Association of Plant Breeders. He has been invited to present his research at national and international universities and conferences and has authored more than 60 peer-reviewed publications. Dr. McHale received her B.S. in Horticulture from Pennsylvania State University and her Ph.D. in Plant Biology from the University of California, Davis. 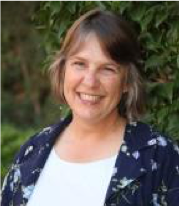 Her post-doctoral work at UC Davis and the breeding company Rijk Zwaan focused on the utilization of genomic tools to facilitate plant breeding programs. In 2009 she moved to the Ohio State University where she is now an Associate Professor in the Department of Horticulture and Crop Science. Members of the McHale laboratory study soybean genetics and breeding. Specifically, the research program is involved in the identification of genes conferring disease resistance, yield, and quality traits and examining how best to integrate these alleles for the development of improved varieties. 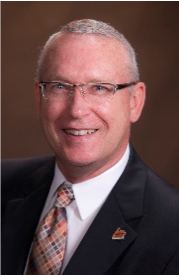 Dr. Huhnke is Director, Biobased Products and Energy Center; Associate Director, Sun Grant Program - South Central Region; and Professor, Biosystems and Agricultural Engineering at Oklahoma State University. He has authored or co-authored over 85 journal articles, two patents, three book chapters, 10 educational videos, and nearly 300 technical papers and presentations. He also co-authored a collection of 50 short videos detailing the various components of a DOE-USDA funded project on developing a sustainable biomass production system. Dr. Huhnke has served as team leader on several multidisciplinary, multi-institutional projects exploring fundamental issues in feedstock development and conversion technologies; and identifying sustainable biomass production supply systems to support cellulosic biorefinery industries. His current research focuses on the scale-up of an OSU patented downdraft gasifier, which serves as the heart of a self-contained, mobile electricity generation system that uses a wide variety of carbonaceous feedstocks. In 2017, he was appointed to the DOE-USDA Biomass Research & Development Technical Advisory Committee (TAC). Dr. Huhnke is a licensed professional engineer and fellow in the American Society of Agricultural and Biological Engineers. Kimberly Ogden received her B.S. degree from the University of Pennsylvania and her M.S. and Ph.D. degrees from the University of Colorado. Prior to joining the UA in the fall of 1992 she was a postdoctoral fellow at Los Alamos National Laboratory. She is currently on the managing board of SBE and the secretary of AIChE www.aiche.org. Kim’s research focus includes bioreactor design for production of alternative fuels from algae and sweet sorghum and microbiological water quality. She is the engineering technical lead for the National Alliance for Advanced Biofuels and Bioproducts or NAABB. NAABB is working to make biofuels and bioproducts from algae a reality. The team consists of multiple universities, government laboratories, and industrial partners. For more information about this area, please check out the NAABB website (www.naabb.org). Ogden is also involved in teacher outreach programs. 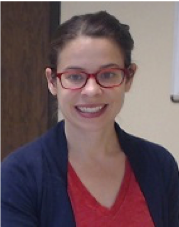 She has run an NSF Research Experiences for Teachers Program for over ten years, where teams of teachers spend 5-6 weeks in the summer doing research in the UA laboratories and transfer what they learn directly to the K-12 classroom through relevant lesson plans. She is also the principal investigator for a NSF GK-12 engineering program. For more information please visit the GK12 website http://chee.engr.arizona.edu/gk12/. Research interests include bioremediation and biotechnology, transport and fermentation processes, biodegration, removing organics and metals from water streams, formation and destruction of biofilms in ultra-pure water systems. Joseph J. Bozell received his B. S. degree in chemistry from South Dakota State University, and a Ph. D. from Colorado State University in organic synthesis and organometallic chemistry under Professor Louis S. Hegedus. His professional career began with a postdoctoral fellowship at Princeton University, continuing his work in organometallic chemistry and synthesis with Professor Martin F. Semmelhack. He joined the Corporate Research staff of Monsanto in St. Louis in 1982, and moved to the staff of the National Renewable Energy Laboratory in Golden, CO in 1989, where he rose to the rank of Principal Scientist in their National Bioenergy Center. In 2006, Dr. Bozell joined UT, where he is now Professor of Biomass Chemistry in UT’s Center for Renewable Carbon. 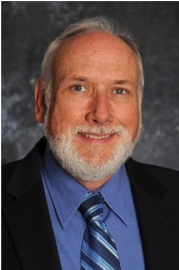 Dr. Bozell is a co-recipient of the 1999 Environmental Protection Agency’s Presidential Green Chemistry Award, the 2008 Henry Lardy Distinguished Lecturer Award, the 2012 Hoffman Environmental Chemistry Lecturer Award, and is a 2015 Fulbright Research Fellow. Research in Dr. Bozell’s programs covers many aspects of biorefining, from separation to chemical conversion. Activities include novel biomass fractionation processes, catalysis for the transformation of biorefinery process streams, selective oxidation of carbohydrates and lignin, biochemical conversion of lignin to liquid fuels, self-assembling nanostructures, and the use of biomass carbohydrates as sources of new polymeric materials. An engineering degree means more than a document certifying fulfillment of basic requirements. Rather, this forthcoming degree signifies committal to a global initiative demanding innovative solutions to mankind’s most complex problems and issues. These include improved energy utilization, management of human and industrial waste, derivation of potable water, and implementation of sustainable practices in agriculture, new construction, and manufacturing to name a few. Leyla Battista understands the importance of all of these aspects. Furthermore, she is interested in combining all of these aforementioned areas and creating a singular field invested in long-term sustainability. Throughout her time at Auburn University, her courses have exposed her to the following topics: water management, waste, construction, mechanical design, sustainability, agriculture, education, and energy. Her biosystems degree gives her a background in environmental, civil, and chemical topics. As she would like to eventually open her own company consisting of engineers, architects, and designers, a background in bioeconomics and leadership training will be highly beneficial. With a diverse workforce, she believes they will be able to tackle a wide range of issues in energy, water, waste management, transportation, agriculture, urban design, education, and construction. In this way, she hopes to enact long-lasting change and create the most innovative design solutions. She hopes to have a full career dedicated to promoting a biobased lifestyle. Christiana Dalton is a junior studying Agricultural & Food Systems and Economics at Rutgers University in New Brunswick, NJ. Christiana has been very involved in a variety of leadership positions on campus; she is a Resident Assistant, FIGS Peer Instructor, Research Assistant, and the Rutgers Big Ten Conference Liaison for the Student Assembly. 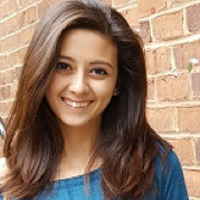 The majority of her coursework has been in political science, economics, and agriculture; one of her personal favorite courses was a two-week winter class in Greece studying food and lifestyle habits in the Mediterranean. Christiana is very interested in the food supply chain, sustainability, and the bioeconomy. Her studies at Rutgers and abroad have driven her to think about waste and energy potential in the making of a biobased sustainable lifestyle. 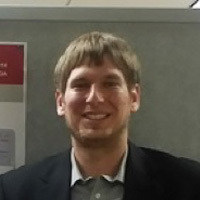 Tannon Daugaard is a graduate research assistant at Iowa State University pursuing a Ph.D. in Mechanical Engineering (ME) and Biorenewable Resources and Technology (BRT) with a minor in Chemical Engineering (ChE). Tannon’s research area of focus is the thermochemical conversion of biorenewable resources into fuels and chemicals. Specifically, his research maximizes the production of liquids from various biomass feedstocks using laboratory-scale auger and fluidized bed pyrolysis reactors. Tannon’s interest in the production and utilization of renewable resources dates to his childhood growing up on a homestead in South Dakota. As an undergraduate, he worked at Iowa State’s Biocentury Research Farm, the nation’s first integrated research and demonstration facility dedicated to biomass production and processing. Throughout graduate school he has had the opportunity to spread awareness about the utilization of biorenewable resources by participating in mentoring programs for high school students and teachers, in addition to hosting tours and summer seminars for visiting teachers and farmers. Tannon is looking forward to continuing a lifelong career in research and utilization of biorenewable resources. Novianus Efrat, a Fulbright scholar from Indonesia, is currently in a master’s degree program at the University of Missouri. In the Agroforestry program, he is doing his research in identifying bioactive compounds from Switchgrass (Panicum virgatum) through Global Metabolite Profiling and High-Throughput Bioassay Screening. His interest in Biobased Renewable Energy has been growing since his bachelor’s degree where he worked on adding the value of biodiesel from Jatropha curcas. Efrat experienced volunteering for two years on a remote small island in his home country where there is only four hours of electricity supply each day. It is one of his big dreams to help those people in need by using a more sustainable option: biobased renewable energy. Autumn Hill is a sophomore at Alabama A&M University where she is majoring in Environmental Science. Her interest in Environmental Science developed early on, when she realized how important protecting the earth’s natural resources was. In high school, Hill had a non-paid internship with the Natural Resources Conservation Service. She was fascinated by the technical assistance that was provided to private landowners to help conserve the land. From this experience, her knowledge of conserving our natural resources expanded greatly. Eager to learn more about the environment and have real life experiences, she decided to look for more opportunities. With that, she was led to The Forest Internship Research Student Training Program. “It was definitely a real-life experience, and it promoted healthy growth mentally. In terms of development, this program allowed for the increase of personal knowledge,” she said. For Hill, her ultimate goal is finding new ways to better and improve the environment in ways in which everyone in society can participate. In the future, she plans to complete her degree and work with a federal agency to continue protecting the earth’s natural resources. 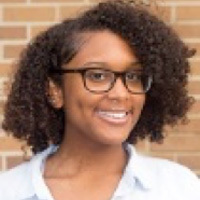 As both a Smittcamp Honors Scholar and member of the second Jordan College Honors Cohort, Alexis Jackson devoted her undergraduate career to striving for the maximum she could possibly attain. Her fascination with growing plants led her to pursue a degree in plant science and that revealed a previously invisible realm to her. 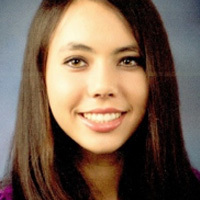 During her undergraduate career she pursued not only two research projects, but also completed two internships. She was a farm manager intern at a navel orange operation and was responsible for irrigation, repairs to the irrigation system, negotiating with well-drilling companies for a new well, and various other essential tasks such as fire hazard mitigation and rodent control. Additionally, she interned with the plant pathologist Dr. Themis Michailides. The defining project of her undergraduate years was an investigation of the thermochemical decomposition of waste plastics into a diesel-like substance. The project involved a unique, cross-disciplinary amalgamation of electrical and mechanical engineering, petroleum science, chemistry, economics, and several other disciplines. She had to design and build a custom device capable of maintaining an anaerobic environment and temperatures of 1000 degrees Fahrenheit while also allowing for rapid egress of gases from the reaction. In addition to her studies and research, she also worked as an independent tutor instructing students in subjects ranging from first grade ABCs to college-level chemistry. Planning to go into a medical field allowed her to obtain a minor in animal science in addition to her degree in plant science. Both sciences allowed her to concoct solutions that are innovative and could not have been conceived if isolated from one another. These kinds of multi-disciplinary solutions are what she seeks to develop so the emerging bioeconomy can become an industry that helps sustain modern society. Carl-Michael James Jr., was born in Raleigh, North Carolina, but shortly afterwards his family relocated to the United States Virgin Islands, his original place of origin, where he attended public schools throughout the entirety of his adolescent education. He played competitive soccer in every school attended and was pronounced team captain for the majority of the time. Upon graduation from high school, he was ranked 7th out of a total of 190 graduates. His performance academically and socially enabled him to participate in an extensive range of scholarly programs. In the 6th grade, he was selected to participate in a student research group assembled by the University of the Virgin Islands. After years of conducting research experiments with the University, he began to acknowledge his natural ability for the sciences. He was certain that he wanted to become a scientist of some sort, but unsure as to what branch of science he would be willing to dedicate the rest of his life. As a child, he constructed a small garden in his yard where he grew watermelons, cucumbers, peppers, parsley, and lettuce. 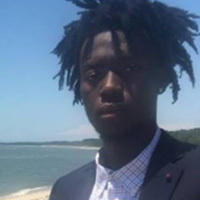 Upon entering high school, his counselor recommended taking agriculture as an elective course, after which he decided to pursue a degree in General Agriculture. After obtaining a bachelor’s degree in that field, he intends to create a polyculture farming system in which animals and plants coexist in symbiotic relationships. The main goal of polyculture farming is to provide crop diversity in imitation of the diversity found in natural ecosystems. After all, who better to conserve nature than nature herself? As a student delegate of the CABLE program, he expects to improve on public speaking and leadership, while gaining valuable experience in the newly emerging bioeconomy. John Johnson is a senior undergraduate student from Charlotte, NC, studying sustainable chemistry at North Carolina State University (NCSU). He began his undergraduate career at Drexel University studying pure chemistry, and conducting research on complex II of the Electron Transport Chain, which gained him 1st place in the Biological & Life Sciences category at the 16th Annual Philadelphia AMP Symposium. Following through with his passion for science, and exploration, John took a six-month co-op in Singapore working for The Institute of Materials Research & Engineering where he applied his knowledge to research and development of composite membranes, specifically, zeolitic thin films and MOFs bound to organic substrates. Through his work, he developed an environmental consciousness regarding syntheses design and material design, leading him to study sustainable chemistry at NCSU. 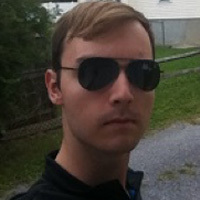 John now focuses on sustainability, and is looking to promote biopolymers and their potential application in various sectors (automotive, pharmaceutical, etc.). He advances this work in his free time, by working as an undergraduate researcher in a computational soft materials lab, building computer models to simulate hierarchical self-assembly of these polymers and analyzing properties for usefulness. Outside of the lab, John is an active participant in the NCSU men’s rugby team, Phi Sigma Pi National Honor Fraternity, and indulges in playing the trumpet. 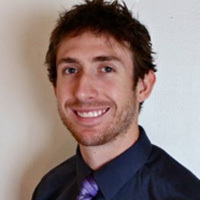 Matthew currently is a graduate student in the Ph.D. program for Agricultural and Biosystems Engineering at the University of Arizona. He is interested in research related to obtaining rubber and biofuels from the Guayule plant that is being grown in Arizona. Currently Matthew is involved with Biofuels Education development in association with the Sustainable Bioeconomy for Arid Regions (SBAR) organization at the University of Arizona. This position entails developing a curriculum for teachers and other instructors to teach lessons and demonstrations related to biofuels production. In the past, he has been heavily involved with biofuels research and development. For several years he worked as a Laboratory Manager for a biofuels startup company called Southwest Biofuels in southern Arizona. This company was interested in growing algae for the purpose of producing biodiesel for small landowners such as farmers. In addition, he recently published a book in 2015 entitled ‘Biofuels Manufacture from Renewables other than Corn Starch’ which addresses the sustainability issue regarding biofuels production within the United States focused heavily on developing alternative biofuel manufacturing technologies. 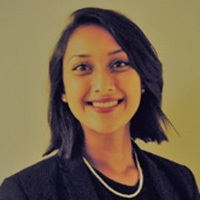 Aleena Kazmi is an undergraduate student at Louisiana State University with a major in Biological Sciences and a double minor in Spanish and Psychology. 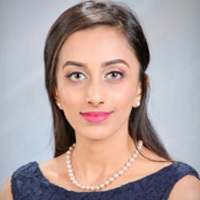 In addition to serving as a hospice volunteer at Baton Rouge Hospice, Aleena has served as a volunteer at Tulane Lakeside Hospital for Women and Children where she translated instructions, directions and general information for Spanish, Hindi and Urdu speaking visitors and families. Her internship experiences have included shadowing and work at Dr. Robert Jeanfreu’s Internal Medicine Clinic and working as a researcher at A. Wilbert’s Sons Research Internship in Bioproducts. Through this bioproducts internship, Aleena gained experience developing bioproducts and biofuels from energy crops and agricultural residues and presented findings to A. Wilbert’s board members. She anticipates graduating in the spring of 2018. Her area of interest lies in the application of renewable chemicals in biomedical research. Kelly Laje’s experiences during her time at NMSU, undergraduate and graduate, in the Department of Plant and Environmental Sciences enabled her to acquire an in-depth understanding of plant sciences and their applications to the environment, community, and human health. A master’s and now Ph.D. student, her research is focused in the area of algal bio-products with emphasis on secondary metabolites and natural product synthesis and their applications to the nutraceuticals/cosmeceuticals industry. She has successfully inhibited secondary carotenogenesis in novel strains of microalgae, promoting the over-accumulation of the carotenoid phytoene – an antioxidant, anti-aging, and photo-protective molecule known for its skin-lightening qualities. Carotenoids are often studied and utilized in the medical and pharmaceutical industry because of their strong antioxidant capabilities and possible uses toward macular degeneration and cancer prevention. Previously, Laje was awarded the American Society for Horticultural Science Collegiate Scholars Award 2012-2013; the Dean’s List 2012; graduation with Academic Honors; RISE Scholar 2014-2016; and Outstanding Graduate Assistant 2017. 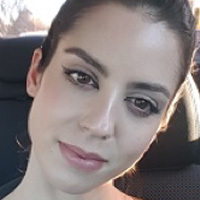 Her future life goals include understanding and expansion of the plant-based cosmetic industry through scientific research and application, as well as exploration into the marketing aspects of the field. To accomplish such goals, she fully recognizes a career in the biotechnology industry as the next step in her journey as a scientist; and ultimately, in becoming a leader in product innovation for a major cosmeceutical company. 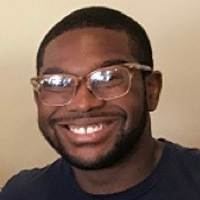 Shea Moore-Farrell is a third-year graduate student pursuing his Ph.D. through the Cell and Molecular Biology program at Colorado State University. His primary project involves utilizing techniques in molecular biology, computational biology, and metabolic engineering to study carbon metabolism in the food and energy crop Sorghum bicolor. Moore-Farrell has a passion for improving the environment, and is particularly interested in developing novel biotechnologies for use in photosynthetic organisms that will lead to cleaner and more efficient food and energy production. The incredible potential that biotech has on the future well-being of society is obvious to him, but he also recognizes the wide-ranging challenges that come along with it, from public perception of bio-based goods to the large ideological gap between academic and industrial research laboratories. He is excited about tackling these obstacles and working to bring about a happier, healthier, and cleaner future for both people and the environment. Shehan Navarathne is a graduate student at North Dakota State University’s Department of Agribusiness and Applied Economics. He earned his Bachelor in Finance from the same institute in May 2017. Besides school, Shehan enjoys Brazilian Jiu Jitsu, tattoos and cooking. 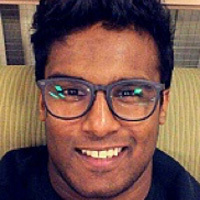 Shehan was invited to attend the Clinton Global Initiative Conference in 2015 and 2016 to present his ideas about a non-profit Micro-Loan organization to assist college students financially and to discuss a Brazilian Jiu Jitsu self-defense class for women and children to protect themselves against abuse. Previously, he served as Vice President for the Sri Lankan Student Association where he organized campus events and spread cultural awareness within the community. Shehan is a current member of the NDSU Bison Fund, which is a student organization that manages a stock portfolio valued over $1,000,000. He completed coursework in IT and developed a business platform on Microsoft Access for a school IT project. He is currently a research assistant in the Agribusiness and Applied Economics Department at NDSU. Keeley Overmyer is majoring in Sustainable Plant Systems with a specialization in Agronomy and minoring in Agribusiness. She has had both work experience and leadership experience in agriculture-related industries including a Monsanto internship field scouting and providing dealer training on new products and technologies. She also has held agronomy internships with Widmer and Associates and Sunrise Cooperative Farm. 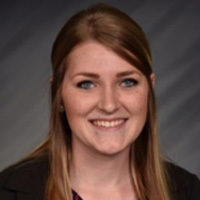 Overmyer is an active member in the Sigma Alpha Professional Agricultural Sorority, the Agribusiness Club at The Ohio State University, and served as the American Seed Trade Association Campus Connections Student this year. She participated in the Agriculture and Agroecosystems Chile Study Abroad program and was immersed within Chilean culture, toured farm operations and engaged in the diverse agriculture of Chile. In 2015, Overmyer was named the Agriculture Future of America Scholar; in 2016 she was an American FFA Degree Recipient and in 2017 she is an American Society of Agronomy Greenfield Scholar. Joanna Quiah is a junior undergraduate student at Oklahoma State University in Stillwater, Oklahoma studying Biosystems Engineering. She has worked as an undergraduate research assistant for two years focusing primarily on the study of vegetative filter strips, specifically, observing the effects of varying filter strip properties on the efficiency of sediment and pesticide reduction in surrounding bodies of water. In the past year Quiah has also assisted a team of researchers in a project supported by the Oklahoma NASA EPSCoR Research Initiation Grant, quantifying the risk of agricultural drought based on the spatial and temporal variability of rainfall patterns. 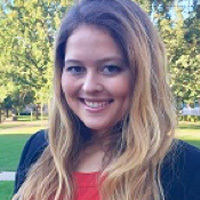 The combination of these opportunities and her passion for environmental sustainability has propelled her interest in biobased economy and technologies. Demetrius Summerville is a senior biology major at Central State University as well as a student athlete in the CSU men’s football program. He successfully completed an NSF-sponsored 10-week summer research program promoting teamwork and professional development for high school science and pre-service teachers using material sciences and corrosion research as a means of promoting STEAM education. His professional development interests include nutrition and human health with long term goals of working in the area of nutrition and impact on disparity areas such as prevention of diabetes, obesity and high blood pressure among African Americans. He views the CABLE Program as an excellent opportunity to further develop his leadership skills and professional development into a career that will positively impact the lives of others. Obste Therasme is working on his Ph.D. at SUNY-ESF. 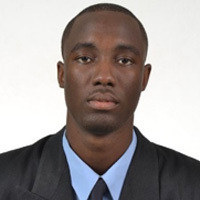 He earned his master’s degree in chemical engineering at Syracuse University in 2015 and his bachelor’s degree in chemistry from the State University of Haiti. 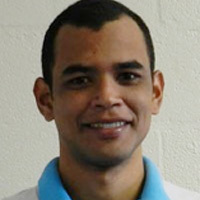 His current research is related to the quality of willow biomass as a feedstock for bioenergy and bioproducts industry. His interest also includes lifecycle assessment of biobased products derived from the conversion of biomass feedstock. He has special training on environmental impact assessment and sustainable energy for Small Islands Developing States (SIDS). Alex Vore is a driven individual with interests in not only his major (Environmental and Energy Management) but with a myriad of topics. Originally hailing from Central Ohio, Vore found himself at West Virginia University after discovering how WVU was the right place for him. The University supported his passions for beekeeping, marching band, and entrepreneurship with the various programs they have available and he was overjoyed to take full advantage of these newfound opportunities that presented themselves to him. Currently Vore is in his second year of college and is still working tirelessly to forward his own personal goals. Ernesto was born and raised in Colombia, a country with a wide range of energy resources like coal, oil, natural gas, wind, solar and biomass. Since he was a child, he was fascinated with science and the natural world, which motivated his engineering studies later on. During his undergraduate and master’s studies, Ernesto focused his research interests in the production of biodiesel from natural oils and fats, evaluating ways to enhance the properties of the biofuel. 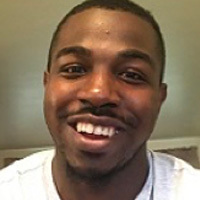 Currently, he is developing his Ph.D. on Energy Science and Engineering at The University of Tennessee, Knoxville, under the direction of Dr. Joseph J. Bozell. His dissertation is focused on organic chemistry and synthesis for biomass conversion to contribute to the development of an efficient, greener, and sustainable biobased economy.